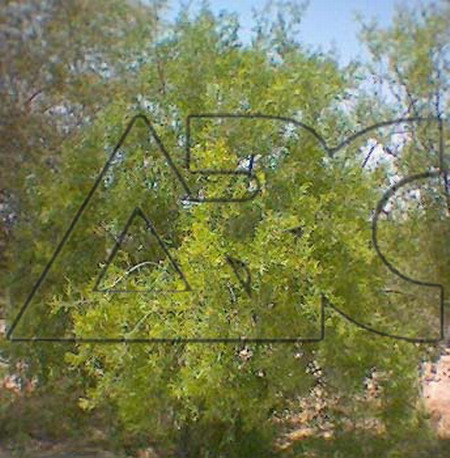 Has a brown bark, slightly rough; the young branches are green. Leaves are oblong-elliptic to almost circular, light to dark green, rather fleshy, sometimes with wart-like glandular dots and dense rather loose hairs; apex broadly tapering to rounded, sharp-tipped; base broadly tapering; margin entire. Greenish to yellowish flowers, very small in loose slender-branched axillary or terminal sprays. Fruits are spherical, fleshy, pink to scarlet when mature.